View More In Lumbar Pillows. This is a cushion that can be used for living room sofas, bedroom headboards, soft and comfortable, making your home more warm and stylish. It can also effectively support fatigue, sedentary and not tired. Live button design for easy cleaning. ❤Note: Due to workmanship, the actual size will be less than 10cm. ★ We only sell cushions, other items are props. 【Quality Material】Select cotton fabric, healthy and skin-friendly, comfortable and soft; EPE filling, full thickness, improved support and elasticity. 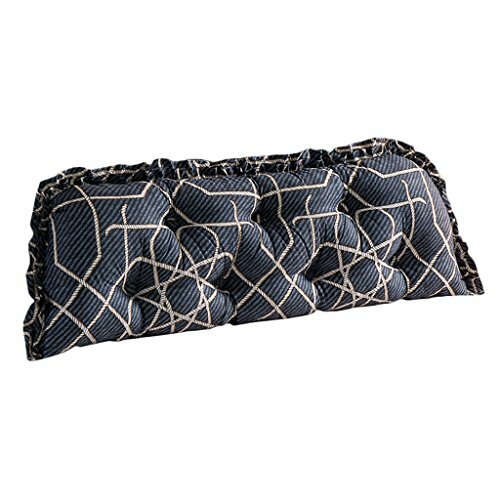 【ergonomic design】 Cushion can effectively support the waist easily against fatigue, back to height, protect the spine, relieve fatigue, correct posture, sedentary is not tired. 【Buckle design】 Removable button, high-quality cloth buckle, scratch-resistant, and easy to clean, simple and labor-saving. 【Scope of application】 can be used for bedroom headboard, living room sofa, bay window and other places to make your home more warm. 【About shipment】 We will ship within 3-5 days, delivery time is 7-20 business days. If you have any questions about this product by Lumbar Pillows, contact us by completing and submitting the form below. If you are looking for a specif part number, please include it with your message.